Having decided to stay a full day and help out with the project that your money is going towards I was up at 7 tucking in to a fusion breakfast. Rustled up by my new friend and room mate Midori, I had rice with fish eggs, miso soup, bacon, eggs and sausages. A classic continental. 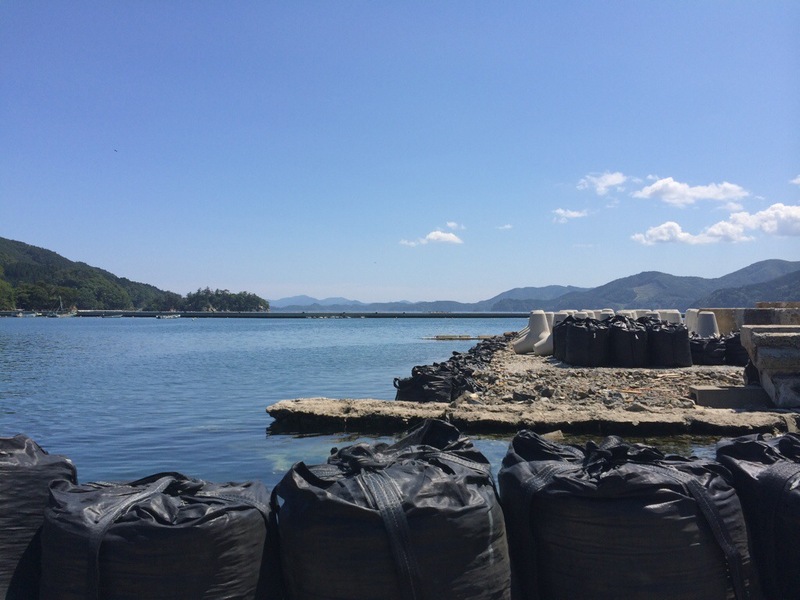 We then drove around Ogatsu bay to a small inlet where we met Kiyonori-san and his wife. They live in a small house about 80 meters up the hill from the small port on the still water. Below their house stands another and below that a small garage. But below that stands only empty plots. Foundations are ominous and homes conspicuous by their absence. Weeds grow on flattened but forgotten plots of land. At the water’s edge a small pre-fab hut stands as the only new build in three years. Kiyonori-san is not a fisherman but a farmer. He cultivates Hoya (sea squirt) on nylon ropes in the calm shallow waters if the bay. It is these perfect farming conditions that also made the Tsunami of March 11th 2011 so devastating in these communities. Like a funnel the high-mountain-sided bay magnified the waves power and wrought complete destruction. The largest part of Ogatsu used to lay at the end of the bay. Where 60 shops and homes once stood, only a temporary shop and seafood restaurant attempt to ply their trade. 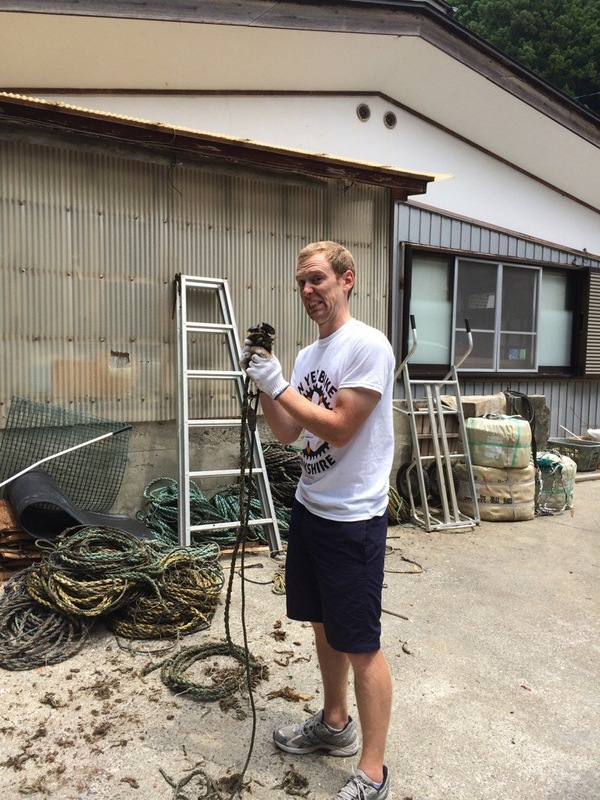 Kiyonori-san was clearly pleased to have help but I felt more for the act of going there than the actual work we did. I cleaned some ropes. 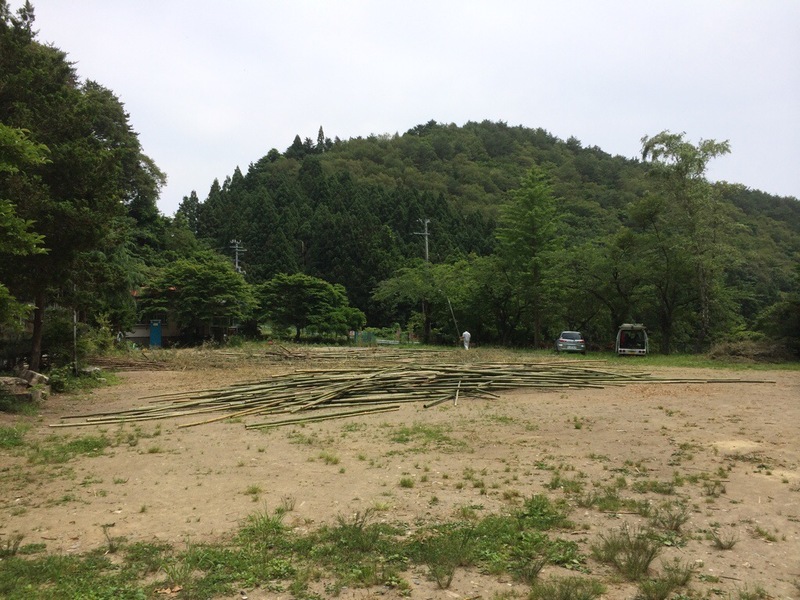 The school project that I hope you can help me to support is more than a renovation project. When complete the school will host visiting students who will then interact with these same local tradesmen. It will also host local community events, and the school yard is already doing so (a sea urchin festival – whatever that involves – is planned for this weekend). 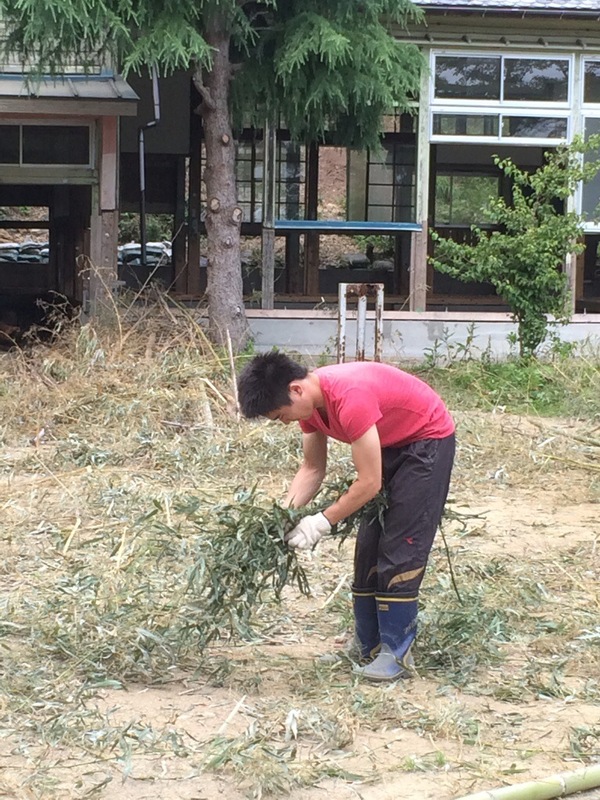 This afternoon, Midori and I attempted to clear the school yard. This involved cutting the small branches off bamboo and then weaving them in to tidy bunches. We made an impressive dent in the pile but were unable to clear the entire yard. Still, pleased with the day’s work. If you haven’t already please consider donating! 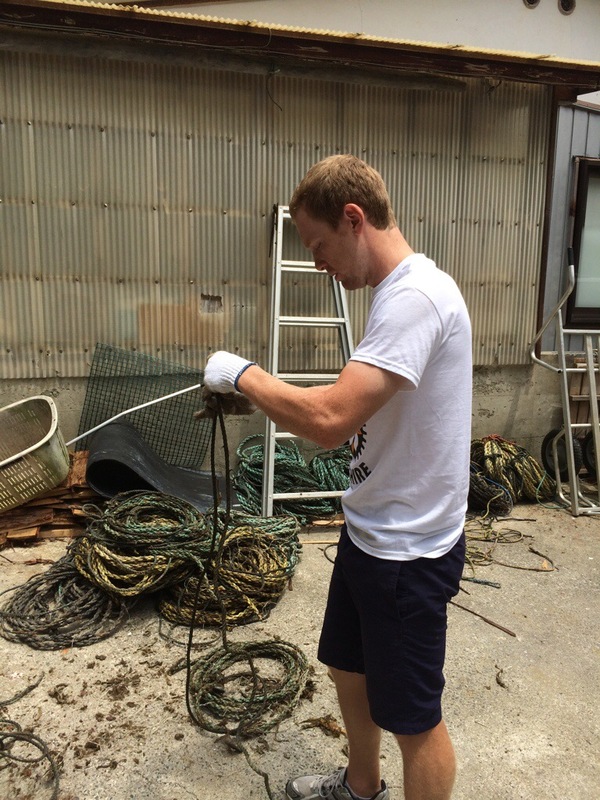 That rope cleaning looks like a stinky poo poo job Dan. Very interesting to see the place and hear the stories. Our donation will be with you soon.